A recent article from The New York Times reported that the Trump Administration will roll back on Obama-era standards for school lunches. The decision will add more leniency to the current requirements by adding on low-fat milk to the non-fat milk standard, as well as it won’t be as strict with the sodium intake in the meals. 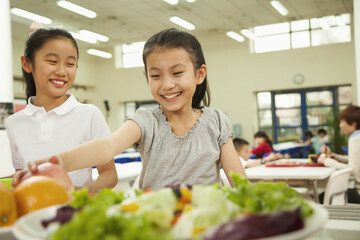 With less restrictions on school lunches coming soon, it can make providing your child with healthy eating habits even more difficult. To combat this, here are some ways you can find the right food for your child’s lunch in the future. Last year, we saw tremendous innovations in the web design trends 2018 that survived exceptionally well over the internet. The visual landscape for the web designers on the new year was all similar to the previous years’ latest trends in web design and development. Previously, every single website design focused on providing exceptional user experience and as a result, accepted by the users completely.